I usually know when I am going to have one of these. I wake up really slowly doing a lot of stretching and yawning. Fyi I am not an early bird, I love my sleep. These sort of days only happen in the weekend. Once I wake up, I drag my snoozy body in my coziest of bathrobes downstairs. I always have to be aware that I dont fall off the stairs, as sleepy bodies do strange things. My stairs can be sort a death trap. If I wake up before 11 am, I switch my tv to BBC 1. Say hello to tasty food and easy recipes. Somehow I like to torture myself with looking at all that food. 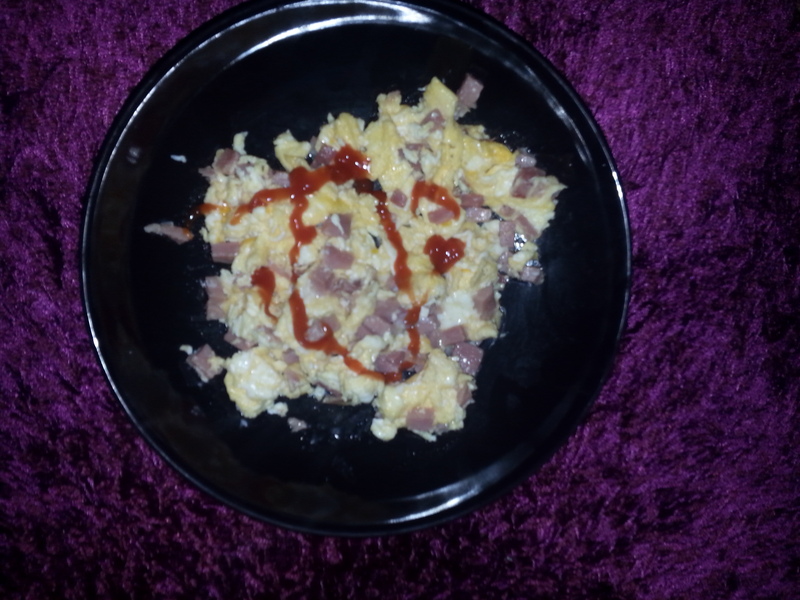 During this time I ussually make my own breakfast. This is great because during the weekends its one of the few times I can cook a propper breakfast. Usually I start work with greek yoghurt its easy and quick and gives me a full feeling. After my little munch session, I decide to have a long luxurious shower. 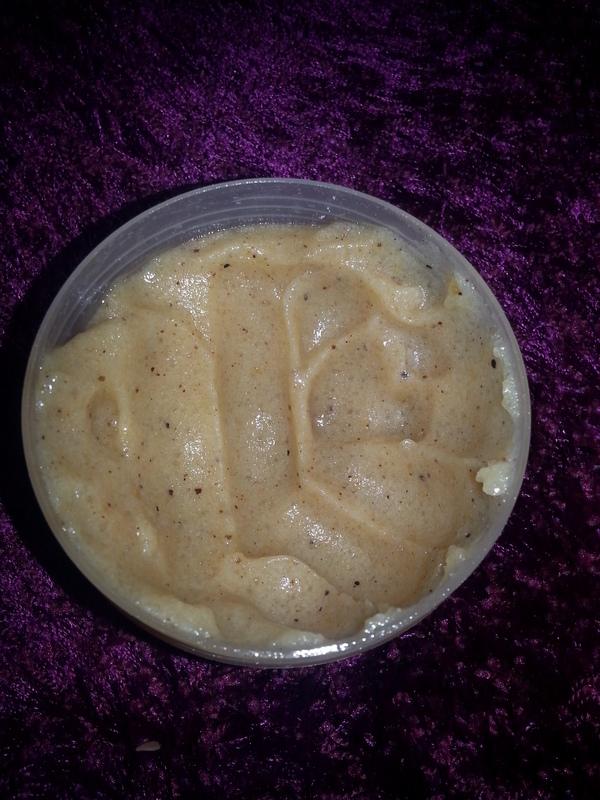 This means full body scrub, hair mask the whole works. At the moment I am using the Soap and Glorry breakfast scrub. 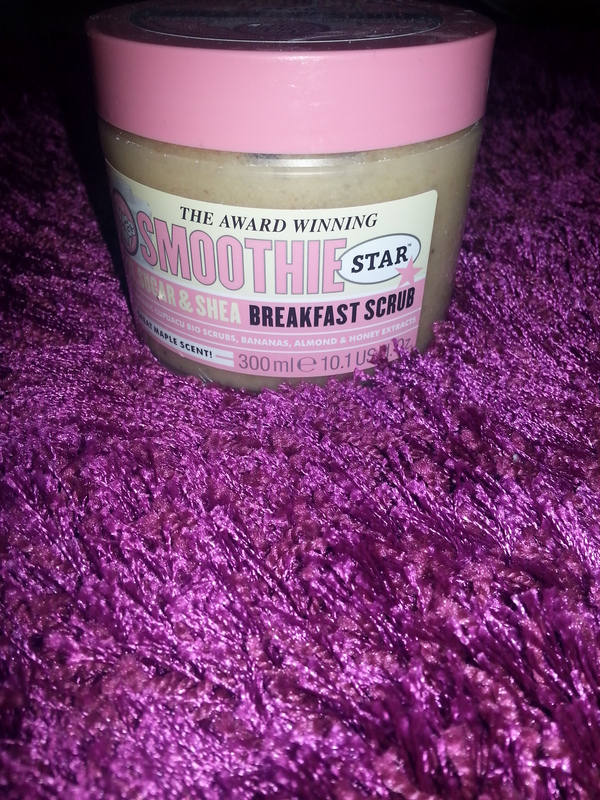 Just a warning don’t use this scrub before having something to eat because it smells so yummy. It smells like maple syrup. Ofcourse my stomach screams pancakes! Also my hair deserves a little TLC. I use my hair mask for damaged hair. Preferably I would apply the mask The night before and sleep in a shower cap. However you don’t always know, when your going to have a lazy day. So put the mask in and let the mask soak in the hair for about 5 minutes. After my nice shower, I dress in comfy clothing. For me thats a warm jumper and sweats in the winter. If I am really lazy I go back to my pjs and bathrobe. After I get dressed, I go to my bedroom to dry my hair and moisturize my face. Afterwards I go downstairs with some nail polish. Whilst I am painting my nails I watcht tv, You Tube or listen to music. I take my time painting my nails otherwise I just get chipped nails (aaaaaaarrrrrrgg). Once I am done painting my nails, its time for absolute chill time. Cuddling up on the sofa with a blanket, fluffy cushions and a cup of tea. I either cuddle up with my Kindle or watch tv and You Tube. At the moment I am reading City of souls by Alexandra Clare.This continues the whole day with brief breaks for snacking, toilet and more food. Some times a lazy day is just heaven.